Your Kia has become one of American motorists’ favorite imports because of its progressive designs and dependable performance. The reasonable price tag doesn’t hurt either. Coopers Auto Repair shop helps you maintain the same quality vehicle you had when you purchased your Kia. This is best accomplished with technicians that are not only familiar with your Kia, but hands-on experienced with them. We know what’s best for your Kia, because we know your Kia. Any maintenance, repairs, or advice that we give is only meant to improve the condition and extend the life of your vehicle. Our hope is to work with you and your Kia for many years to come, providing you expert services for the entire life of your Kia. And with our help, that can be quite a long time. By establishing open and honest communication with our customers, we show you that we’re to be trusted. From early and accurate diagnosis to quick and complete repairs, we get you back on the highway without delay. Kia drivers in the Tacoma community should know they have a place nearby that gives them the special attention they need. We’re the best alternative your local dealership. Our prices for services are affordable and worth every penny. With a talented staff of technicians like ours, your Kia will be well cared for and ahead of every repair. 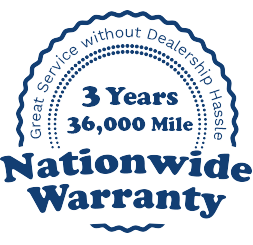 Just like you depend on your Kia, we depend on your trust in our outstanding abilities to service your Kia. If you can trust us, and bring your Kia to Coopers Auto Repair Specialists’ garage, we can keep you worry-free and piling on the mileage. Our expert services never leave question marks in the air, and we always treat your vehicle’s service with the utmost respect and priority. Some of the vital services that we’ll schedule and provide for your Kia are any oil and lube services. We also perform any engine cooling system services, like radiator repairs, antifreeze/coolant changes, or flushes. Coopers Auto Repair Specialists offer an extensive list of repair services for your Kia. Visit us at one of our Tacoma locations, or call us today at (253)466-3917 or (253)536-3797 to schedule an appointment at one of our Tacoma locations.